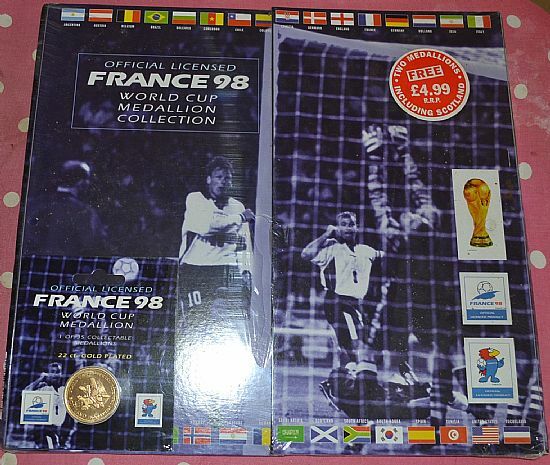 Fast becoming one of the 'must have' collectables as it closes in on being twenty years old! 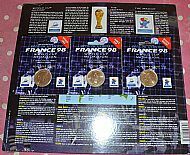 A lovely high quality set of coins - the 32 teams plus logo, mascot, trophy and France winners coins. 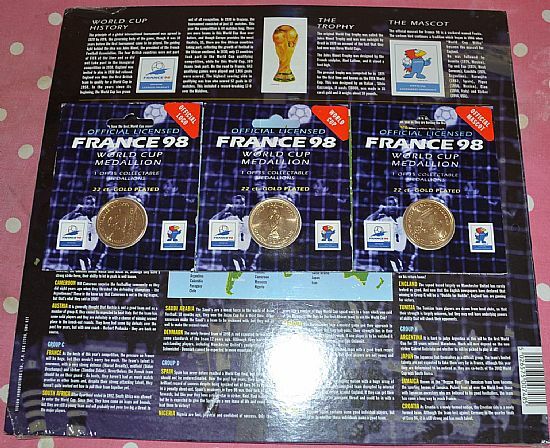 A complete set of all 36 medallions in the collector folder. 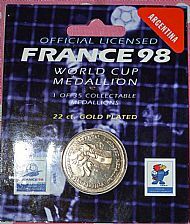 As well as 32 team coins there are also the trophy, logo and mascot coins. Full set of 36 sealed coin packs plus the folder all mint. 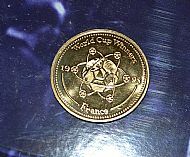 Plus of course the almost impossible to find 'France Winners' medallion produced after the final. All 32 team coins came in sealed, named packets plus the four special coins - logo, trophy, mascot. 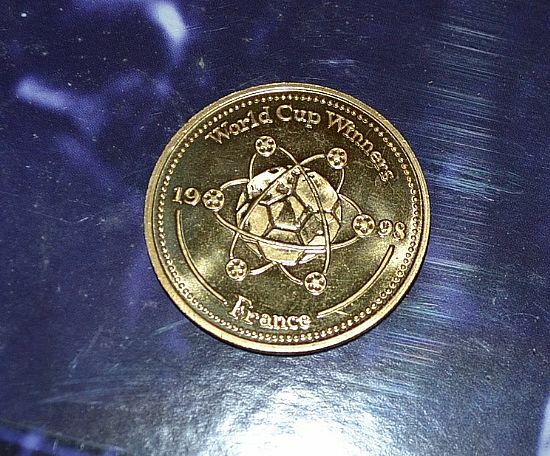 The winners medal was available separately. 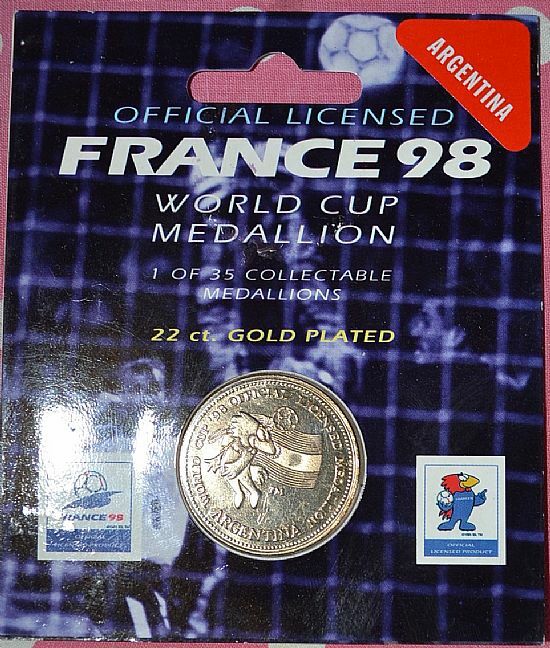 Beautifully produced and packaged medallions make this a superb collectable.